The Grand-Son of Express FC founder Jolly Joe Kiwanuka, Kiryowa Kiwanuka has been appointed the new Chairperson of the Club. Kiryowa who is a City Lawyer replaced Hajji Hassan Bulwadda in the role, barely a year after the later took over the role from Hon. Nakiwala Kiyingi. This comes as a surprise due to the fact that Bulwadda had been rumored to have secured the role for five years. Kiryowa who holds a Master’s Degree in Petroleum Law and Policy from the University of Dundee, Scotland confirmed the developments on his twitter handle. “I have taken over the leadership of Express (red eagles) as its chairman, read the tweet. “I would like to thank all those that have worked hard for Express over the years and call for the support of the Express fans and the entire footballing fraternity. With Express FC problems looking miles away from being sorted after the controversial sacking of former coach Shafic Bisaso, Kiryowa who was appointed through a board meeting this week, will have a lot on his table in order to ensure that the club restores its past glory. Bisaso who secured the club’s status in the top tier claims that he did not receives official communication about his departure yet the club has already appointed former Bul tactician Kefa Kisala as head coach. Express FC survived relegation to the second tier of Uganda football last season after a 1-0 final match day win over Masavu FC in Bugonga. The appointment of Kiyowa is a sign that Express FC indeed want to get back to where they belong but the football fraternity will have to wait and see where this all leads the troubled side. Kiryowa Kiwanuka is a partner at K&K Advocates. He is one of the two pioneer partners at the firm having started K&K Advocates in October 2001 with Edwin Karugire. Kiryowa has practiced Commercial Law, Labor Law and Energy Law for over 18 years and although his focus is mainly on Oil and Gas law currently, he is still very passionate and active in Commercial Litigation. Outside the law firm Kiryowa loves to play golf at any one of the golf courses that he is a member of; Entebbe Club, Uganda Golf Club, Kampala Golf Club and Jinja Golf Club. Furthermore, he has served in various capacities in golf administration. He has been the Secretary and Chairman of the Entebbe Club and also served as the Vice President and President of Uganda Golf Union. 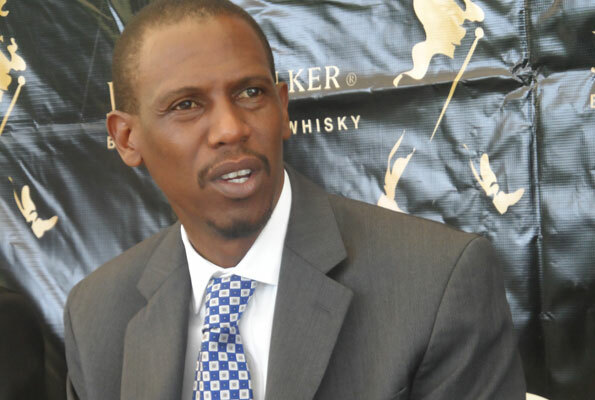 During his tenure as President of the Uganda Golf Union Uganda, Kiryowa was able to win the coveted Zone VI Golf Championship; also winning as the East African Champions two years in a row. Beyond golf, Kiwanuka is a die-hard supporter of both Express Football Club (where he served as Secretary for a year) and Arsenal Football Club in the premier league.